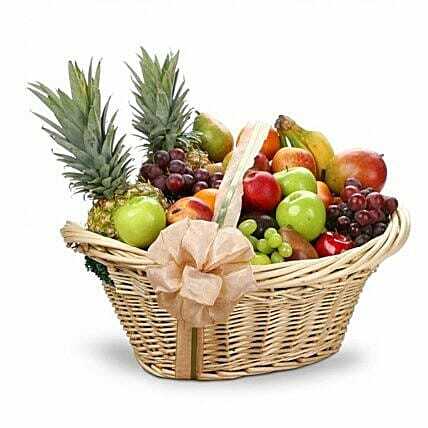 Our affordable Best in Class Fruit Basket is designed and delivered by an experienced local florist in your recipient's local area. Each basket is a one of a kind creation that may include apples, pears, oranges, grapes, bananas, or other fruits. Photo shown online is a representation only. Specific type of container and fruits included will change according to local availability and designer's preference. Gift Includes: Assorted Fresh Fruit.